We’re looking for a vibrant, enthusiastic individual to work in our growing Operations Team. The perfect candidate will be someone who is superbly organised, with strong communication skills, who can stay calm under pressure and is enthusiastic to get stuck into in all aspects of producing and despatching our fabulous spirits. 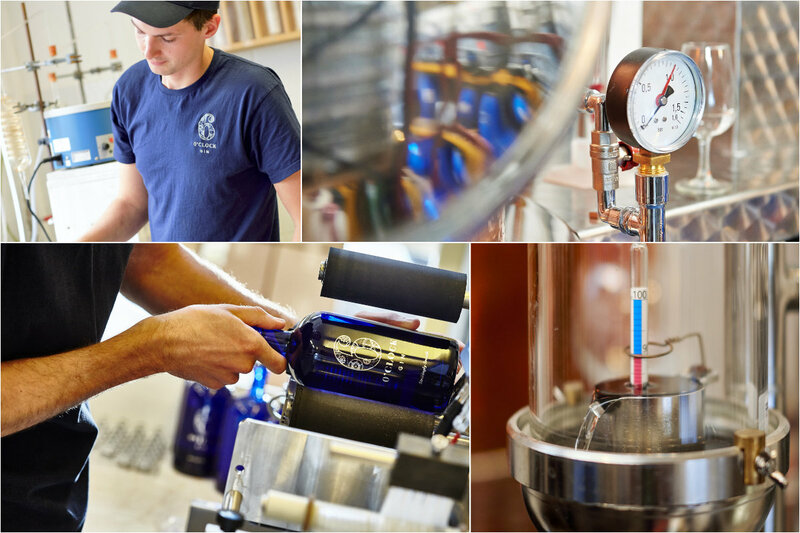 We’re a long-established, yet fast-growing and ambitious distillery based near Bristol. Our strikingly smooth 6 O’clock Gin turns heads with its beautiful looks and wins hearts with its delicious flavour; it has won plenty of awards in national and international blind tasting competitions. We are a family owned business with a team who go the extra mile and have a youthful and dynamic outlook. We are an entrepreneurial, creative and enthusiastic bunch and we pay attention to the details that make our customers happy. 6 O’clock Gin is listed in over a thousand accounts across the UK (from major multiples to 5 star restaurants) and is exported to over a dozen countries. You have a natural interest in artisan, premium spirits; how they’re made, how they taste and what you can do with them. You’re a warm and concise communicator and a great team player. You are motivated, can work on your own and productively manage your own time to achieve goals. You take a pragmatic approach to problem solving and are proactive in suggesting and implementing ways to continuously improve the business. You’re physically capable of regular lifting and moving of boxes of spirits and empty pallets. You are a skilled and confident user of IT including, but not limited to, Excel and Word. You have a full, clean driver’s license and, if you don’t already have FLT skills, will be quick to learn them. You might be excited to get involved in occasional sales activities such as attending trade or retail shows. You don’t need to have any previous operations experience; it’s all about attitude. The role would suit a recent graduate or anyone who wants to contribute flexibly and proactively to a growing business. The role is challenging and varied. No two days are likely to be the same. Managing stock; both finished goods and dry goods. The salary is competitive in the market place and bolstered with a regular supply of 6 O’clock Gin! We’re a small company, but are growing. There is scope in the future to take on more responsibility or change roles as we thrive. Please send your CV WITH A COVERING LETTER (to help us understand why you are the perfect 6 O’clock Factotum) to felicity@6oclockgin.com. Please also include your salary requirements (or history).